To describe the clinical characteristics of struvite stones and determine the preoperative predictors of sepsis in struvite patients undergoing percutaneous nephrolithotomy (PCNL). A retrospective study of patients who underwent PCNL between April 2011 and March 2018 was performed. The data of the struvite stones and non-struvite stones groups were compared following propensity score matching. Subsequently, the struvite stones group was sub-divided for further analysis according to the Sepsis-3 definition: non-sepsis and sepsis groups. 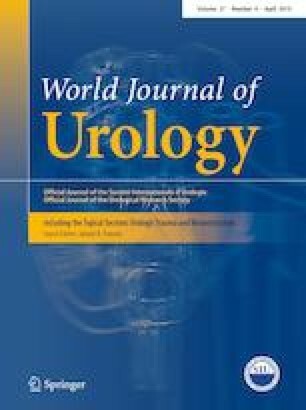 After matching based on age, gender, BMI, and number of access tracts, the comparative analysis showed that staghorn calculi and higher Guy’s stone score were more frequently observed in non-struvite stone patients (n = 97), while a history of urolithiasis surgery (56.70%), preoperative broad-spectrum antibiotic therapy (53.61%), positive preoperative urine culture (55.67%), and sepsis (35.05%) after surgery were more common in patients (n = 97) with struvite stones (all P values < 0.05). Eighteen (18.56%) patients presented with multidrug-resistant (MDR) bacteriuria. Multivariate analysis demonstrated that the preoperative presence of MDR bacteriuria (OR = 3.203; P = 0.043) and increased serum creatinine (OR = 3.963; P = 0.010) were independent risk predictors of sepsis. The two factors were used to construct a nomogram to predict the probability of sepsis. The nomogram was well calibrated and had moderate discriminative ability (concordance index: 0.711). Our study revealed that patients with struvite stones were associated with a significantly high risk of calculi recurrence and sepsis after surgery. The presence of MDR bacteriuria preoperatively was a reliable factor to predict sepsis. Xiaomin Gao, Chaoyue Lu, and Fei Xie are contributed equally to this article. This study was supported by the National Natural Science Foundation of China (81670642, Xiaofeng Gao), 2017 Shanghai Outstanding Young Medical Talent training subsidy Scheme (second batch, Xiaofeng Gao), and National Key R&D Program of China (2017YFB1302800, Xiaofeng Gao). GXM: manuscript writing, manuscript editing. LC and XF: data collection. LL, LM, FZ, and WZ: data collection and statistical analysis. MS, DH, and SR: manuscript editing. SY, PY, and GXF: project development, manuscript editing. The authors declare that they have no relevant financial interest. All procedures performed in the study were in accordance with the ethical standards of the local research committee and with the 1964 Helsinki Declaration and its later amendments. For this retrospective study formal consent was not required.